Not sure from where exactly I took this picture, but judging from the angle I think from Port Wemyss or somewhere near it on the Rhinns of Islay. 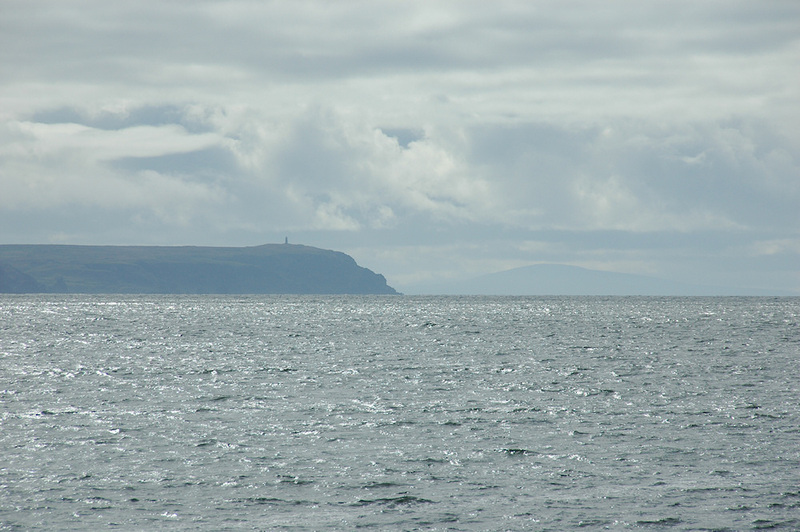 The view shows the Mull of Oa on Islay with the American Monument on the left, in the distance on the right you can make out the coast of Ireland, probably Antrim. This entry was posted in Cloudy Weather, Landscape, Repost, Sunny Weather and tagged American Monument, Ireland, Islay, Mull of Oa, Rhinns of Islay, The Oa by Armin Grewe. Bookmark the permalink.